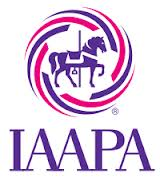 IAAPA, the International Association of Amusement Parks and Attractions founded in 1918, is the largest international trade association for permanent situation amusement facilities worldwide, and is dedicated to the preservation and prosperity of the amusement industry. The organization represents more than 4,000 facility supplier and individuals from over 100 countries. Waterparks are a very important constituency.